Bill Stine is a retired Public School teacher/College professor, who arranges the music for his band, FROM THE WELL. 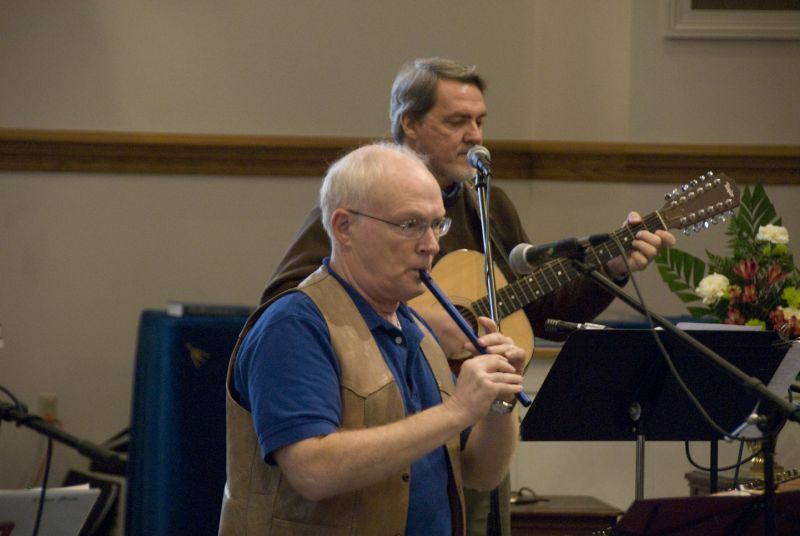 The group mixes Celtic and American Folk influences. 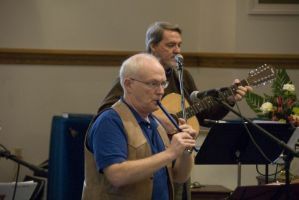 Instruments include twin hammer dulcimers, violin, viola, cello, Irish whistles from low to high, Irish percussion, 6 and 12-string guitars, and 4 vocals. The band contains 3 whistle players. Venues range from juried art and craft shows, through Irish festivals and Renaissance Faires, to many different concert series. Dealing with Colin and Brigitte is always an exercise in professionalism, excellent business practices, precise technical communication, continuing friendship, and good humor. I wish the Goldies the absolute best in their new endeavor. Godspeed to the both of you."